check out the new greenhouse. ﻿﻿﻿﻿﻿﻿﻿﻿﻿﻿We’ve been trying to work in side visits to our Community Investments Program grant recipients whenever we’re out in the field. So, last week, during my brief (late Tuesday afternoon to Thursday morning) trip to Myrtle Beach, S.C., for a budget meeting with our Board of Trustees, I shoehorned a visit to Murrell’s Inlet Lodge No. 2797’s Impact Grant project. 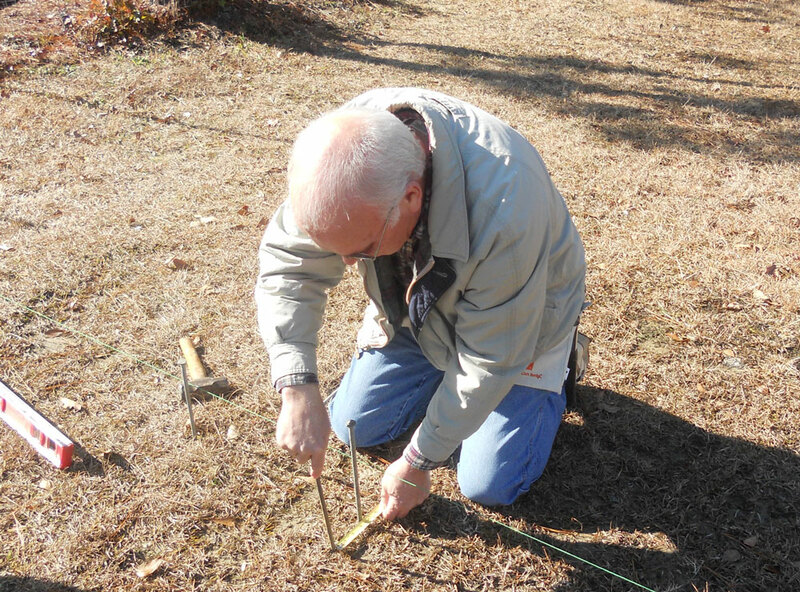 The Lodge received a $10,000 Impact Grant in October 2010 to partner with the Georgetown Disabilities Board on a gardening program for adults with severe disabilities. 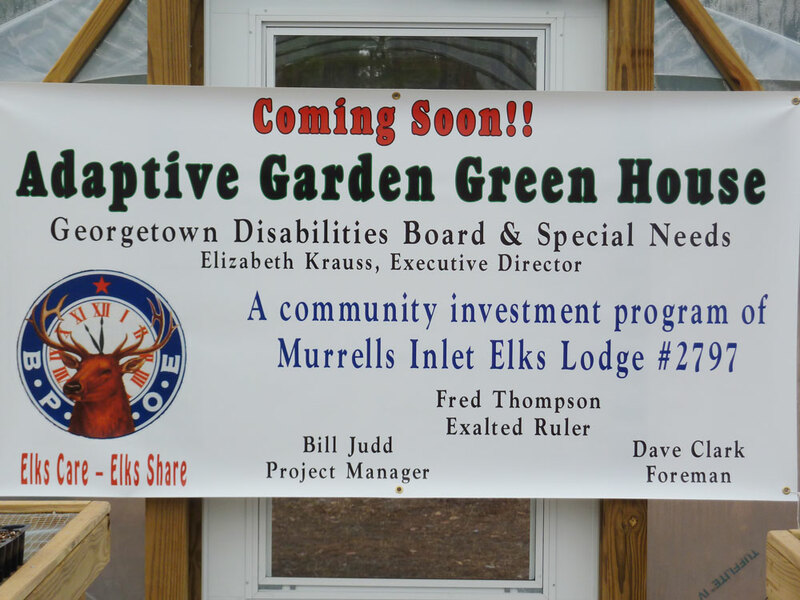 The centerpiece of the program is a greenhouse that the Elks built. Each week, about 15 Lodge members volunteer at the greenhouse at classes that teach gardening skills to the clients. The gardening program will culminate with the clients bringing their produce to a farmers market. ﻿﻿My window for the visit was small. The Board meeting was scheduled to end at 3:15 p.m., at the Marina Inn at Grand Dunes in Myrtle Beach, and I needed to be back there by 6:30 for a dinner. Assistant Director Debbie Doles, who oversees our in-house programs, worked out the details for me with Bill Judd, the enthusiastic and energetic manager of the Impact Grant project, which is called DIG (Disabled Involved in Gardening). All I had to do was show up. I did that with Trustee Frank Garland, a past national president of the Elks and also a former chair of our Board. “How long will it take to get there?” Frank had asked me. “Oh, 15 to 20 minutes,” I said. It was actually closer to an hour. Whoops. And the start was delayed when Bill and District Deputy Dave Straka couldn’t find the valet who had checked their car. Bill was on a tight, expertly coordinated schedule, and he wasn’t about to let a missing valet slow him down. Demonstrating some of his old Marine ingenuity, he walked up to the valet station, opened the key box, and removed his. A moment later, we were off, and I had fresh insight into his “get-it-done” mentality. The long car ride gave me a chance to talk to Bill about the project. “We were ecstatic when we got this grant,” he said. He explained that they had tried and failed the three previous years. But in Orlando, he and ER Fred Thompson attended our Impact Grant workshop and office hours, and that helped. 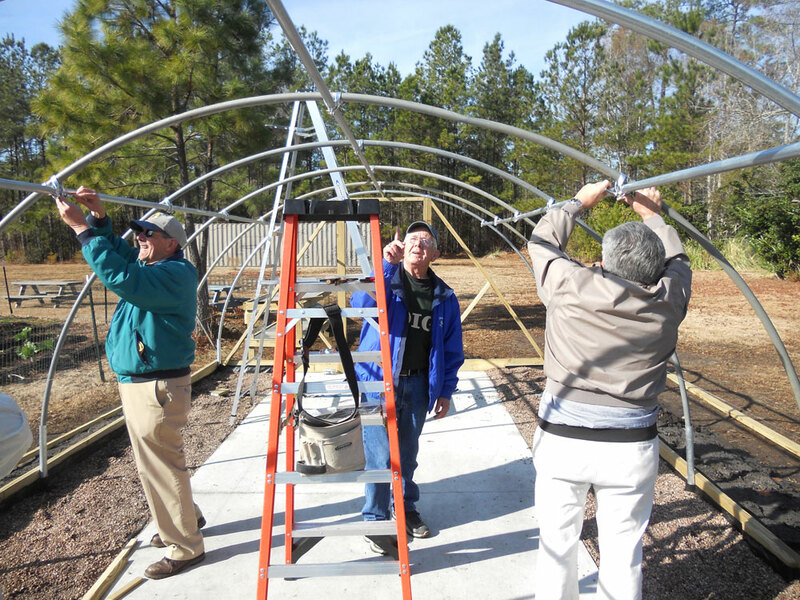 “[Debbie and Mary Morgan, the CIP Associate] were probably sick of us with all our questions, but it really helped,” echoed Fred when I met him at the greenhouse. 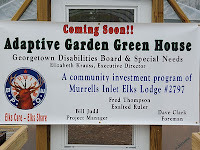 We were greeted at the greenhouse by about 15 Elks volunteers in matching forest green DIG t-shirts. They also wore a matching sense of pride and accomplishment. Bill had organized a ribbon-cutting ceremony for my visit. The president of the local Chamber of Commerce was there with oversized ceremonial scissors, along with a more practical pair. She praised the Elks in her remarks. “Your support shows that there are people who still care about the community,” she said. Three representatives from the Georgetown Disabilities Board were also on hand, including the woman who first dreamed of the greenhouse project many years ago. (Bill rounded many to 20, but either way, the greenhouse was a long time coming.) They were extremely grateful for the Elks’ support. 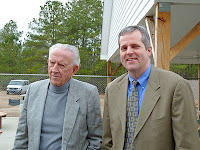 On the ride home, Bill noted that the community stepped in to help as soon as the Lodge was notified that it had won a grant. He took the letter to Lowe’s and got a 10 percent discount on supplies. The Knights of Columbus contacted him and offered to split the cost of the dirt. (Which made the dirt even cheaper…) And the company that delivered the dirt waived three of the four delivery charges. These partnerships and discounts reduced the project’s overall costs. Bill asked whether they could use leftover funds to expand the garden. “Of course we’d detail the changes in our quarterly progress report,” he said. Bill got us back to the hotel by 6 p.m., and then he was off, a busy, energetic man on his way to another assignment. As he drove home, I’m sure he was thinking about the garden. The ENF awards Impact Grants to help Lodges significantly address unmet needs in Elks communities. Impact Grants are competitive grants worth up to $10,000 and are open to all Lodges. 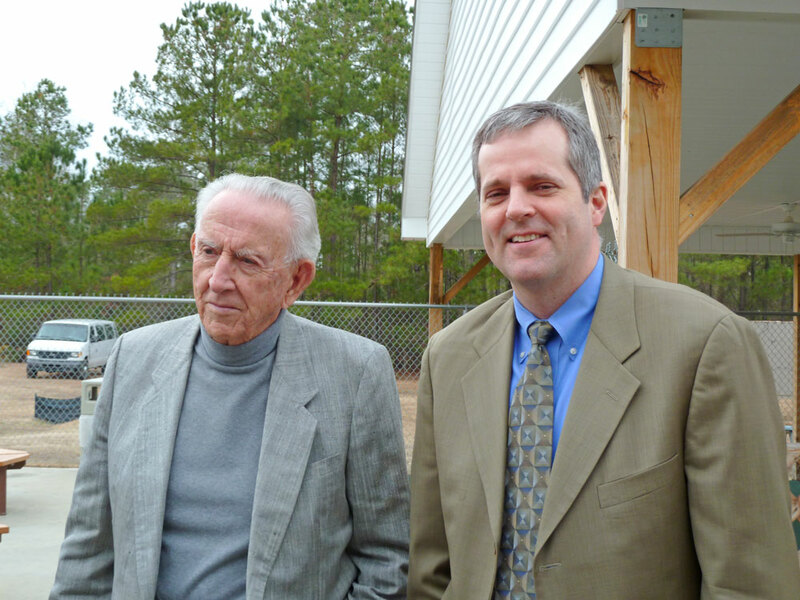 Murrells Inlet, S.C., Lodge No.2797 was one of 51 Lodges nationwide to receive a grant in 2011. Click here for more details on the Community Investments Program.